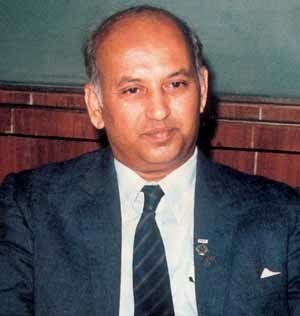 Considered one of the leading space scientists in the world, Dr U R Rao was born on March 10, 1932, in Admar village in the south Canara district in Karnataka state. His father’s name was Lakshminarayan Rao and his mother’s name was Krishnavalli. His full name was Udupi Ramchandra Rao. He completed his school and college education from a place near his village. Very fond of reading during his school and college days, he was among the top rankers in class. He passed BSc with a first class in physics and joined the Varanasi (Benaras) Hindu University for his post-graduation. In 1953, he passed MSc with a first class. The same year he went to Ahmadabad and joined the Physical Research Laboratory (PRL) for his PhD and began research on cosmic rays under the guidance of Dr. Vikram Sarabhai. In 1960, he received PhD. for further studies, in 1961, he received post-doctoral fellowship from the Massachusetts institute of Technology, Boston. There he carried our further research on cosmic rays and solar winds. After two years of research here, he worked as assistant professor at South West Center for advance Studies in Texas University, from 1963 to 1966. In 1966, he returned to India and once again joined PRL as Fellow and continued with his research. Thus, began his second phase of life. Here he began research studies on X-rays and gamma rays in cosmic rays. These experiments involved use of balloons, rockets and satellites, which were used as payloads. Meanwhile, Rao served as associate professor at PRL from 1968 to 1970. In 1970, he was promoted as professor. He worked on that post for two years. 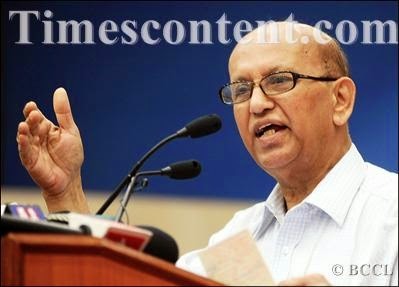 In 1972, he was appointed as director of ISRO Satellite Centre in Bangalore. He successfully discharged his duties here till 1984. During his researches at PRL, he and his colleagues had made important contributions towards understanding the interplanetary medium. His research on solar winds has increased our understanding of the subject. The data interpretation of American Satellites pioneer I and Pioneer II became easy due to his researches. His understanding of the solar winds by unraveling the American satellite Mariner II observations provided a new insight to the world of science. He was the first to establish the relationship between geomagnetic storms and solar winds with the help of observations made on earth. For his highly accurate analysis of the Pioneer 6,7,8, and 9 observations, he was awarded the ‘Group achievement Award, by National Aeronautics & Space administration (NASA) in 1973. 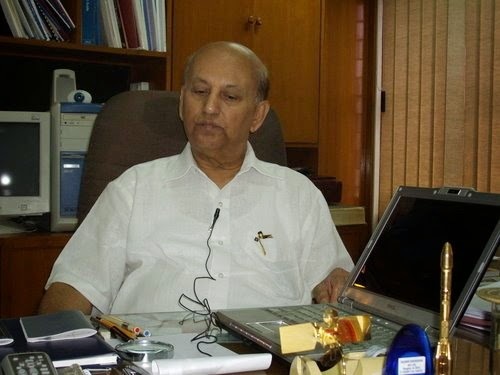 His third phase of life started with his appointment as director of ISRO Satellite Centre at Bangalore. After his return from America, his second phase was spent at PRL, where he received guidance from Dr. Vikram Sarabhai whenever he needed. At Banglore, he started development of the new institute and after Dr. Sarabhai’s death, fully concentrated on enriching the space department and reinforcing the satellite technology. This resulted in the design and construction on India’s Aryabhatt satellite in 1975, under his guidance. This was successfully launched from the Russian Cosmodrome and was well in control thereafter. Then the design, development and successful orbit of Bhaskar I and II were carried out in 1979 and 1981. Under Rao’s leadership, the first experimental geostationary satellite ‘Apple’ was put into orbit in June, 1981. This gave a boost to the development of this new technology in the country. Thereafter, the Indian Remote Sending (IRS) satellites and the INSAT satellites for broadcasting and meteorological purposes were designed, developed and successfully sent into orbit. The success achieved in putting them in appropriate orbit has increased the faith in Indian scientists and technicians. All this happened under Prof. Rao’s able leadership. 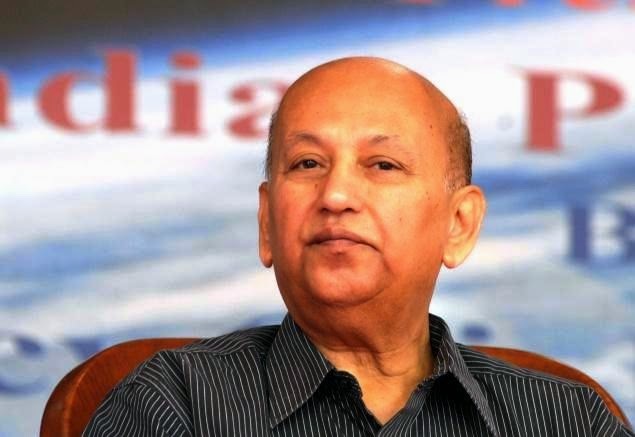 On October 2, 1984 Prof Rao was appointed chairman of ISRO and secretary of Space Commissions, Government of India. He was entrusted the entire responsibility of the country’s space programme. Taking forward the programme by guiding the scientists and engineers, he performed his duties successfully till 1994. Under his leadership the country’s space programs took a giant leap and made various achievements. During his tenure, satellite launch vehicles were produced. This achievement was recognized. Launch vehicles like the ASLV, which could launch a satellite with a payload of 150 Kg in lower orbit and PSLV, which could launch a satellite with a payload of 1000 kg in polar orbit were prepared. Besides, special cryogenic engines are acquired to produce launch vehicles for GSLV geostationary satellites. These satellite launch vehicles can put satellites with 2.5 ton payload into orbit. 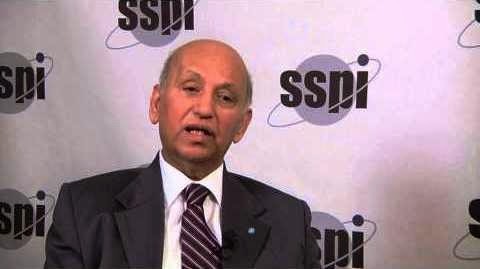 Prof Rao has played an important role in enhancing India’s name in the world of space science. This is the reason why many institutes, universities and many governments in the country and abroad have lauded his efforts. In 1975, the Russian Science Academy, while praising his efforts for the successful launch of Aryabhatt satellite, honoured him with the Russian ‘Medal of Honour’. The same year, he was awarded the ‘Dr. Vikram Sarabhai Research Award’ instituted by the Hariom Ashrama, for his contribution to space physics. He was also awarded the ‘Dr. Shantiswaroop Bhatnagar Prize’ for his contribution to engineering science. 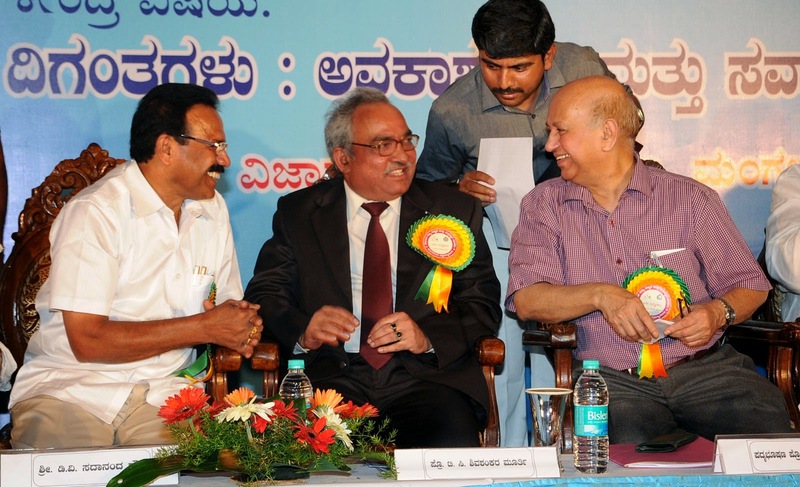 The Karnataka government conferred on him the ‘State Award’. In 1980, the Indian Engineering Institute gave him the ‘National Design Award’ and for his contribution to electronics science and technology, he was given the year’s ‘Vasvik Research Award’. For his services to the country, the President conferred on him the Padma Bhushan. In 1987, the National Science Academy awarded Rao the ‘P C Mahalanobis Medal’. In 1991, the Russian Space Flight Federation honoured him with the ‘Yuri Gagarin Medal’. In 1992, for his cooperation in the journey of space, the international community ( of which he is the Vice-president) awarded him the ‘Allen D’mil Memorial Award’. In 1995, India’s scientific community honoured him with the ‘Aryabhatt Award’. The same year he was given the Bhasin Award. Kolkata (Calcutta) University along with Mysore University, as well as other universities in the country and abroad have conferred on him honorary doctorate degrees. 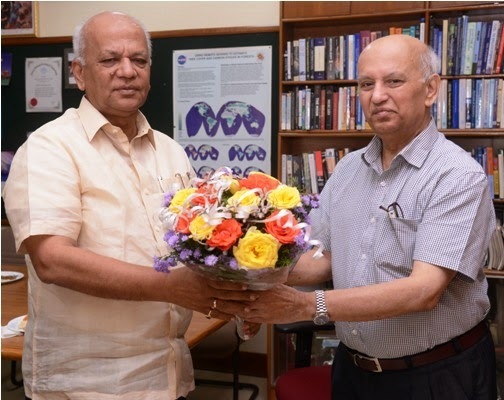 The National Science Academy, Institute of Electronics and Telecommunications, National Engineering Academy, and Indian Astronautical Society have honoured him with a Fellowship and gave him honorary membership. He is the president of the Indian Rocket Society. He was honoured as visiting scientist to Texas University and other universities. In 1996, he was presented the ‘Dr. Vikram Sarabhai International Award’. Today, he works as chairman of the PRL governing body. Besides, he is associated with various institutions. He has to his credit, more than 150 research papers. 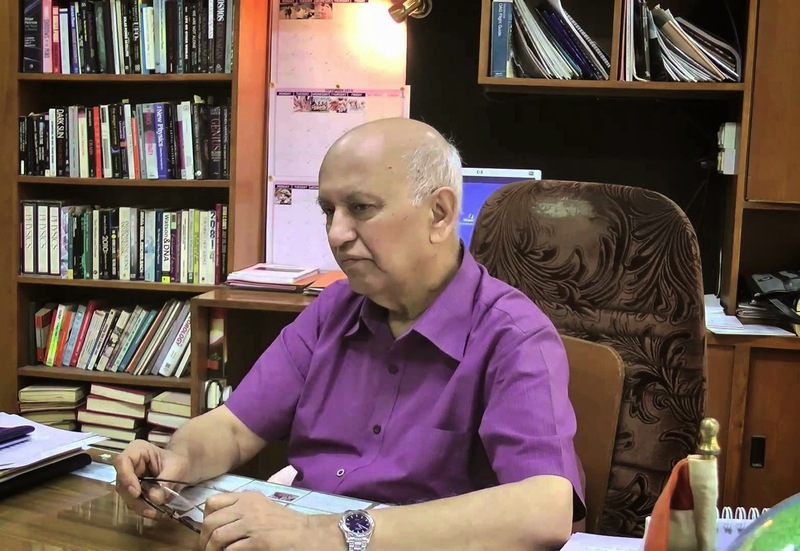 He has also written a book on the Aryabhatt project with his colleague Dr. Kasturirangan. It describes in detail about the project, its results and also analysis of its images. 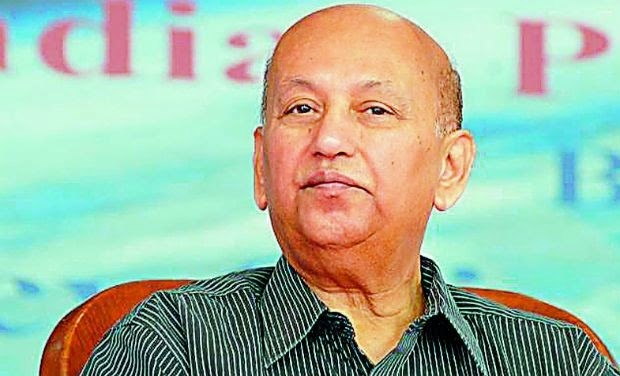 In 1996, he had detailed discussions with the then Prime Minister Narasimha Rao, on how science and technology would be useful in increasing foodgrain production, economic development and health of the country, and wrote a book in this connection. Thus, he has served the country in various fields. We pray to the almighty to grant him good health and long life, so that he continues to guide the country in space research.